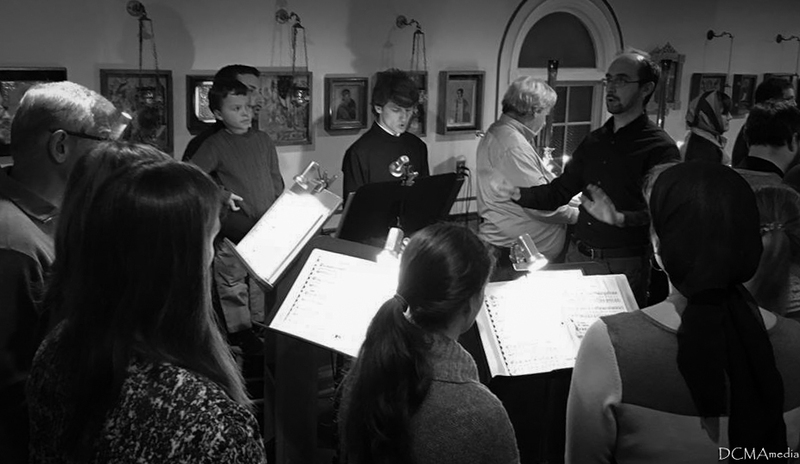 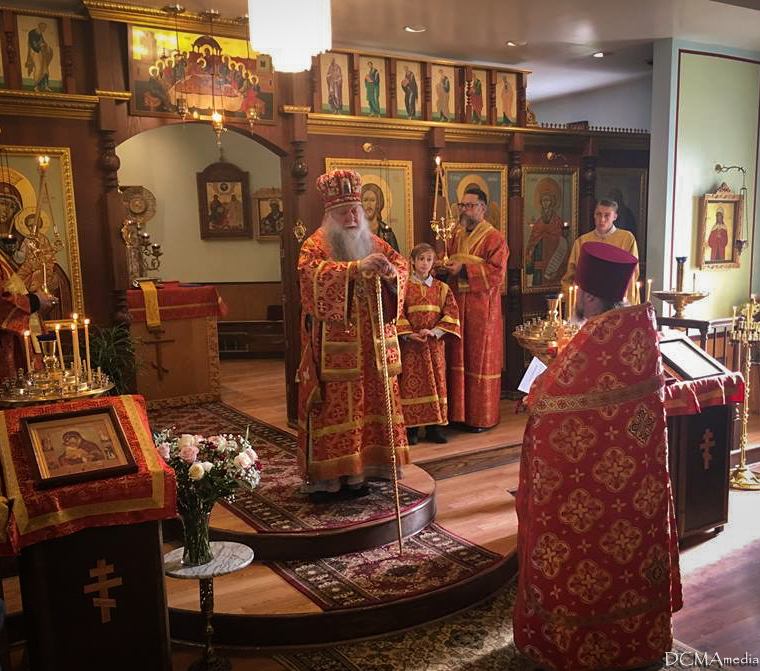 On Saturday evening November 7 and Sunday morning November 8 His Grace Bishop Peter of Cleveland visited his St. Vladimir parish in Ann Arbor, MI. 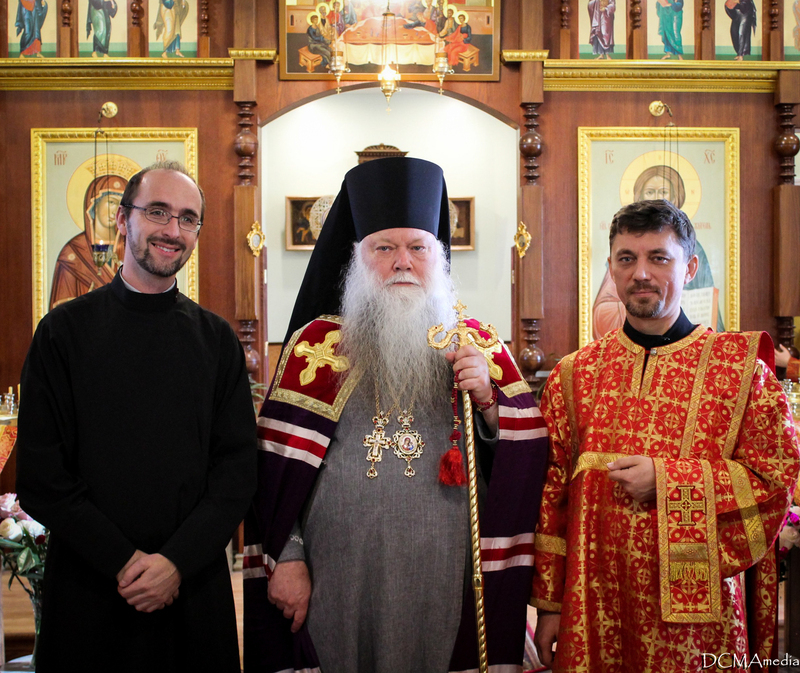 His Grace served the Vigil on eve of the feast along with Archpriest Gregory Joyce (Rector of the parish and Dean of Michigan Parishes), Archpriest Victor Trotsky (Rector of Dormition Cathedral in Ferndale, MI), Protodeacon Alexander Kichakov (Holy Virgin Protection Cathedral in Des Plaines, IL), Deacon Ioann Feloniuk (Dormition Cathedral, Ferndale, MI), Deacon Nicholas Olsen (St. Vladimir Church, Ann Arbor, MI), and Deacon Joseph Appling (St. George Serbian Church, Monroe, MI). 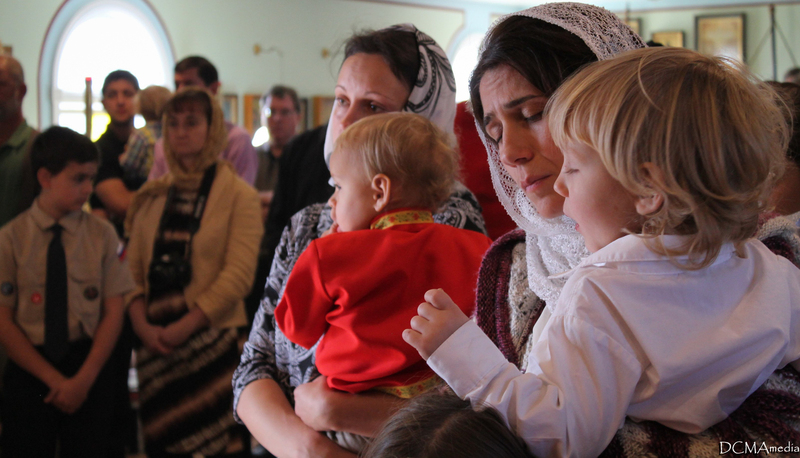 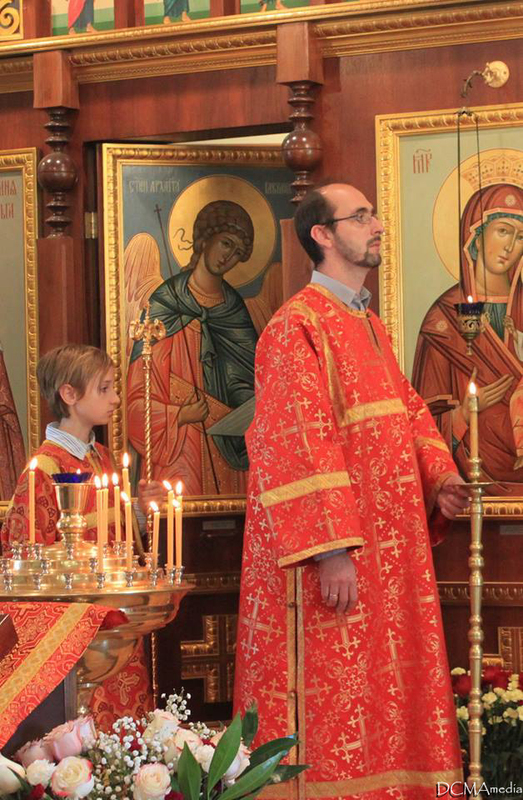 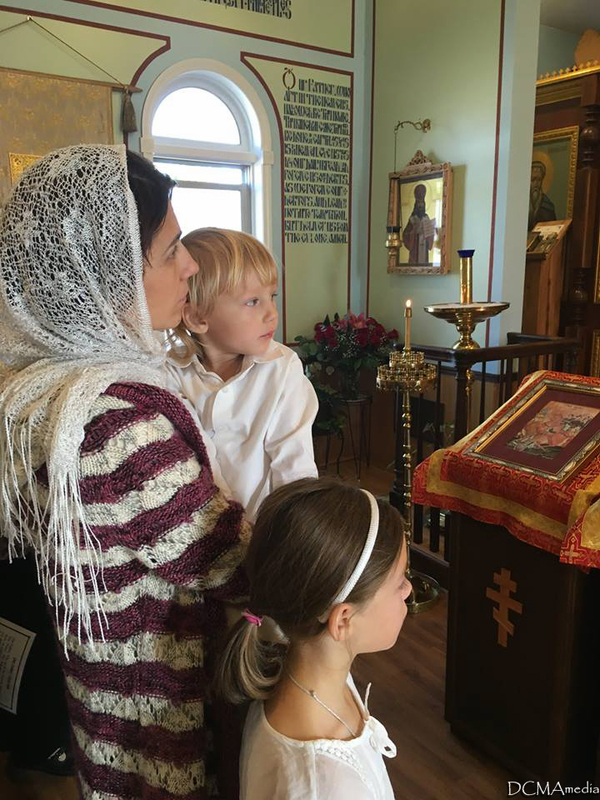 At the completion of the Vigil His Grace led the Slava service for one of the parish families. 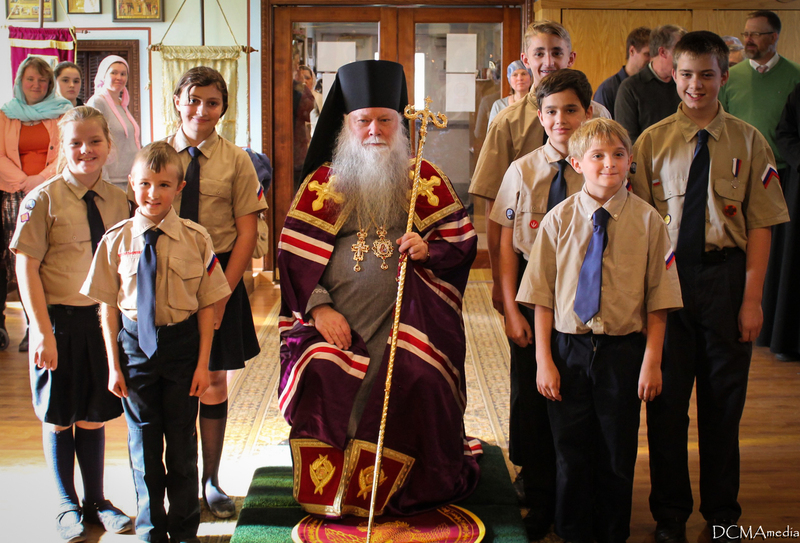 On Sunday morning Bishop Peter was met by the peal of the parish bells and the parish ORPR campers with the traditional bread and salt. 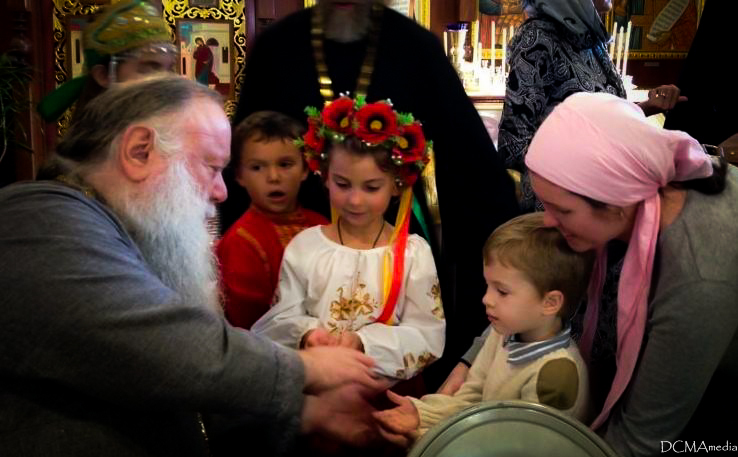 Head Sister Ksenia Nikulshina and Parish Council Member Dmitry Knysh warmly welcome His Grace to the parish, and immediately afterwards the Divine Services began. 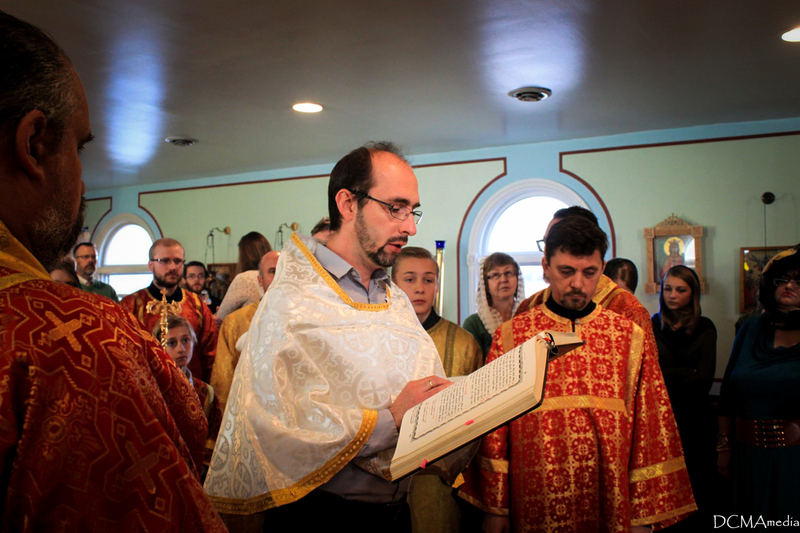 During the reading of the Hours Bishop Peter ordained parish Reader Vladimir Pyrozhenko a Subdeacon and tonsured the parish Choir Director, Roman Vershynin, a Reader. 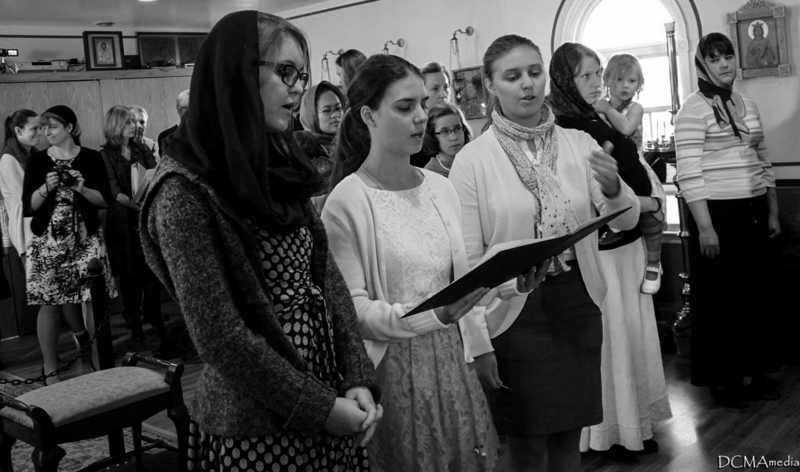 As Roman was therefore indisposed for the remainder of the Liturgy fulfilling the duty of candle bearer, the choir was led on this day by Julia Easson, and sang beautifully and prayerfully. 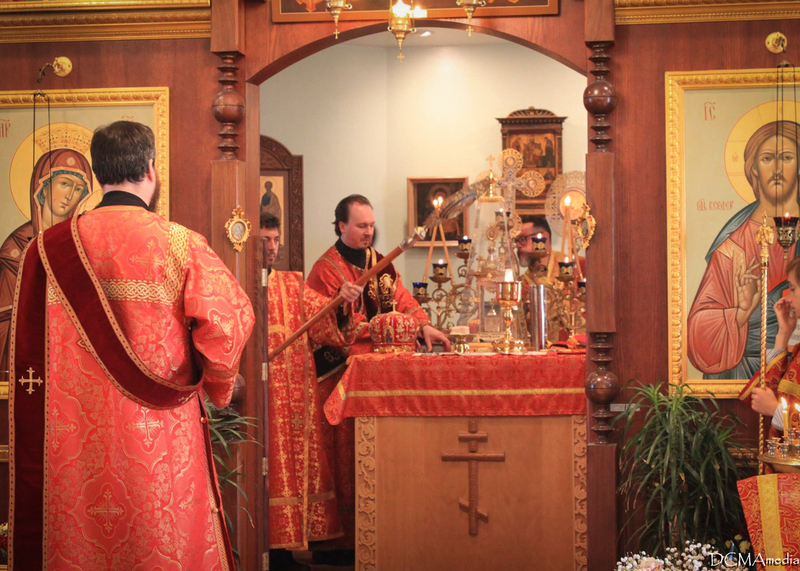 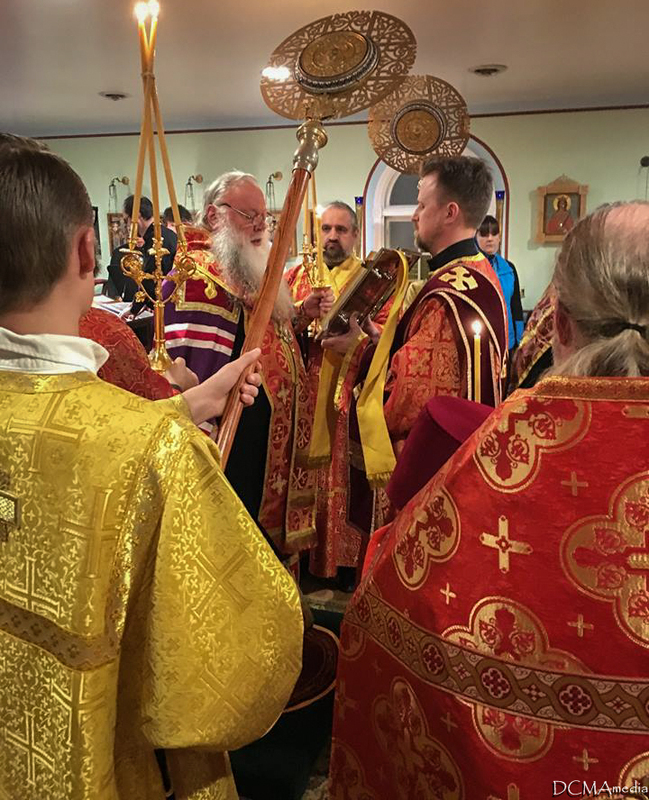 Immediately following the consecration of the Holy Gifts, Bishop Peter ordained Subdeacon Vladimir Pyrozhenko a Deacon for service at St. Vladimir Church. 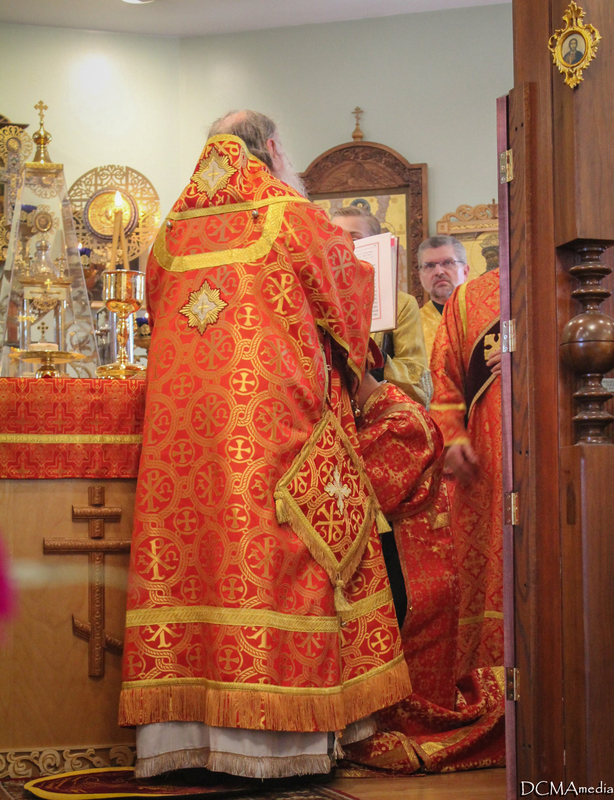 Serving with His Grace on this day were the same clergymen as at Vigil the previous evening, with the exception of Fr. 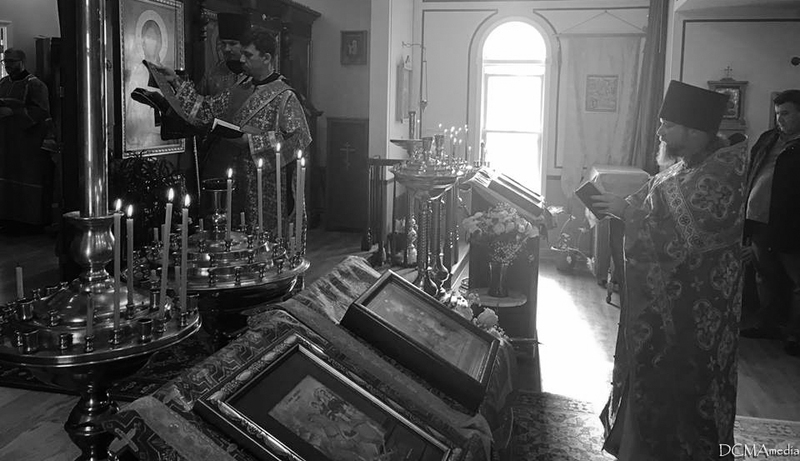 Victor Trotsky who led services in his own parish this day. 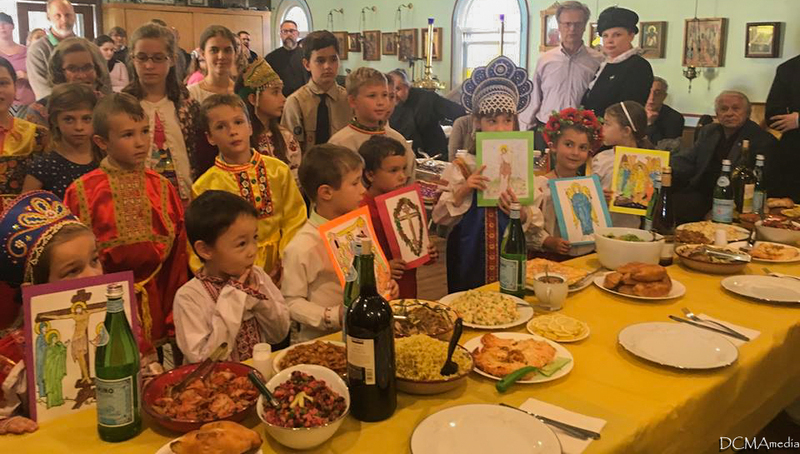 Following the Divine Liturgy, at which a great many of the faithful partook of the Holy Mysteries, the parish's St. Xenia Sisterhood prepared a special meal in honor of Bishop Peter. 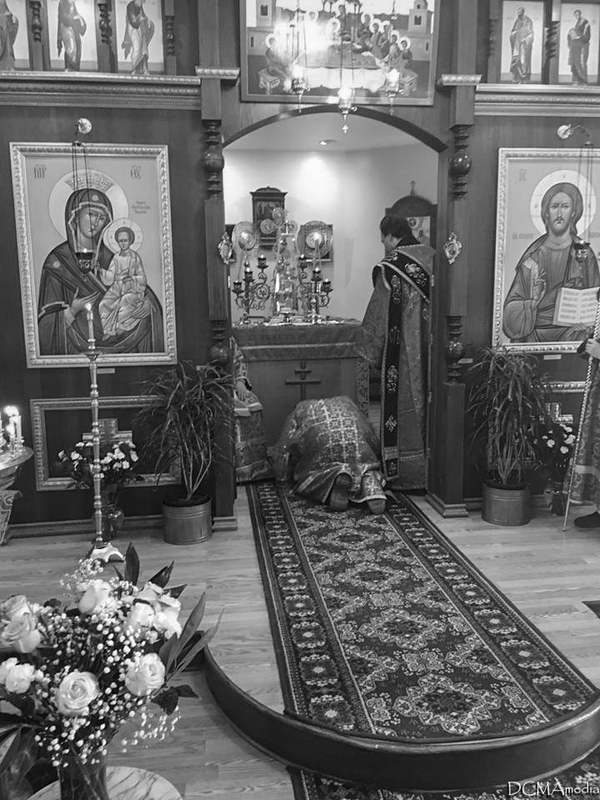 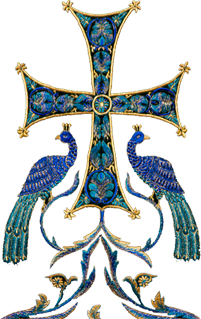 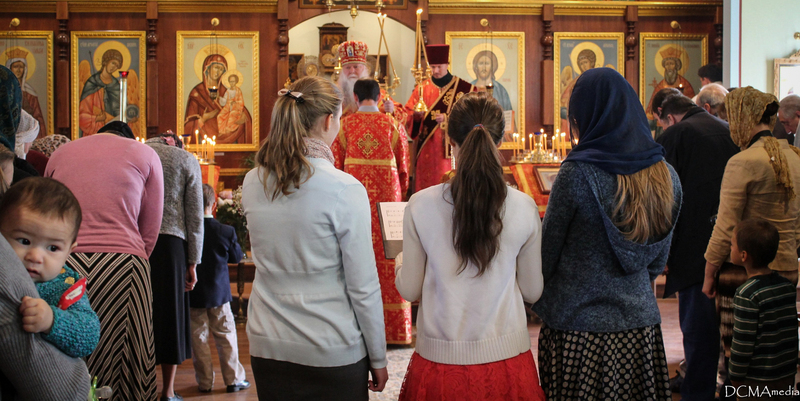 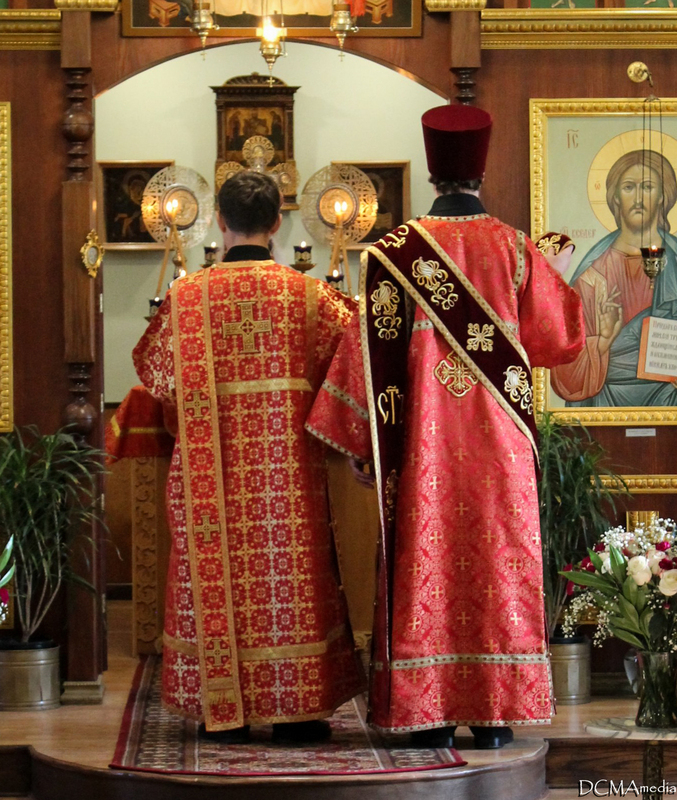 Gifts were given to the newly ordained Deacon and his wife, Bishop Peter spoke to the parishioners about his trip to Russia this summer for the St. John of Kronstadt celebrations there, and the pleasant conversations continued well into the afternoon. 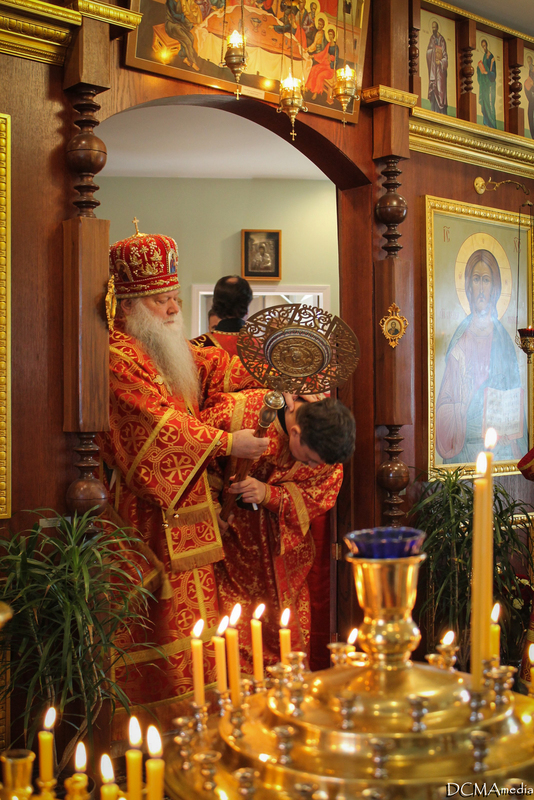 The parish is thankful for the visit of our spiritual leader and for the ordination of one of our parish family to better minister to the community. 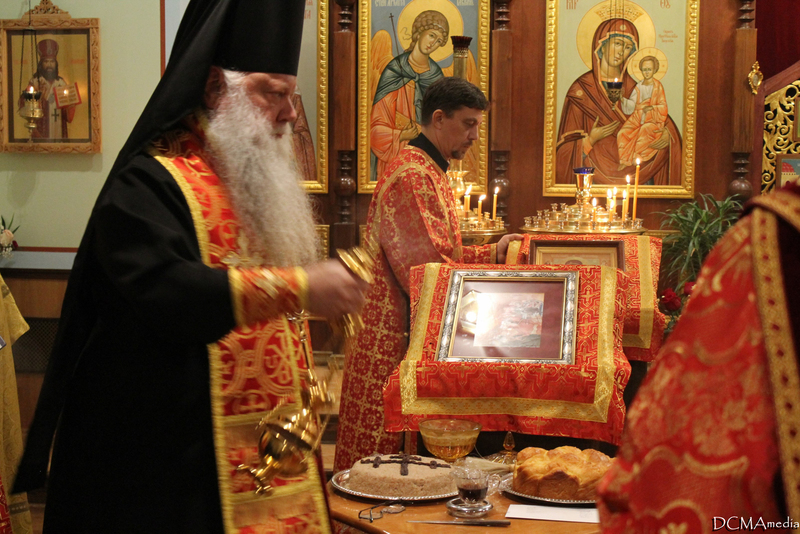 We look forward to the next spiritually nourishing hierarchal visit of His Grace to our parish. 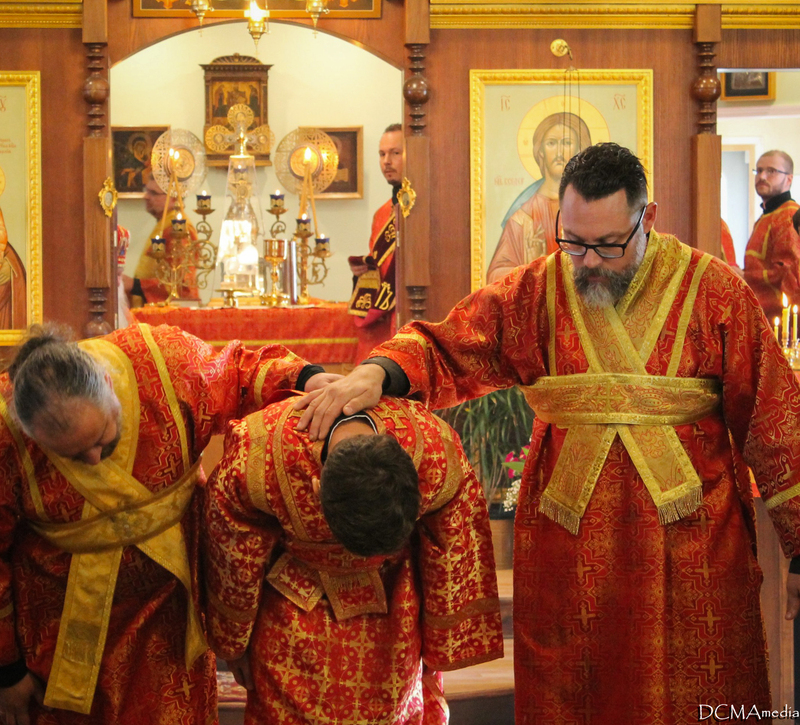 Many Years to our Master and to the newly ordained and tonsured!